A Homemade Mother’s Day- Chic and Memorable Ways to Celebrate Mom at Home! Mother’s Day is almost here, and that means it’s time to start planning how to celebrate one of the most important women in your life! Whether you’re looking for a unique gift or hoping to do something special, we’ve got five ideas to celebrate and treat mom like a queen at home. Marlin Spring prides itself on its ability to imagine and inspire, and we believe in the value of relationships. So this Mother’s Day we hope to inspire you with these heartfelt and affordable ways to honour the one you call Mom. Getting crafty does not mean that your Mother’s Day gift has to look homemade. 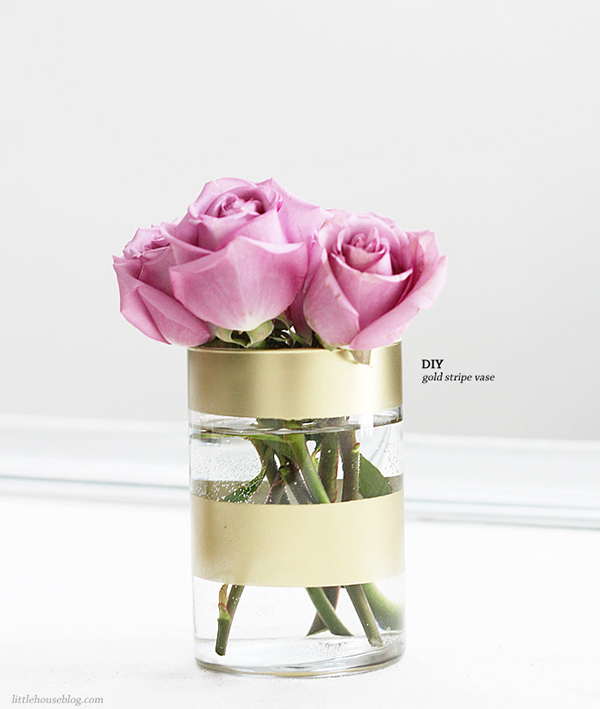 This simple, elegant DIY vase is tres chic and perfect for the modern mom. A basic clear vase is typically something most people have lying around the home. If not, simple translucent vases can be found at your local dollar store that will work beautifully, in an array of shapes and sizes. Try a square vase for a more modern look that can be filled with decorative rocks and even-cut roses, or this round version for a more feminine, softer design. With a little painter’s tape and gold spray paint, give the vase a metallic makeover. This vase is stunning on its own or create a few in groups with alternating stripes. Chic shiny vases will give mom a stylish and lasting reminder of your appreciation. Clear out the boys and host a multi-generational tea time for the ladies in the family. Mom, nana, aunty Sue, the sisters and your best girl friends all deserve appreciation on this day. In the hustle and bustle of everyday life it is easy to forget to express how meaningful these relationships are–and what better way to show it than hosting high tea! 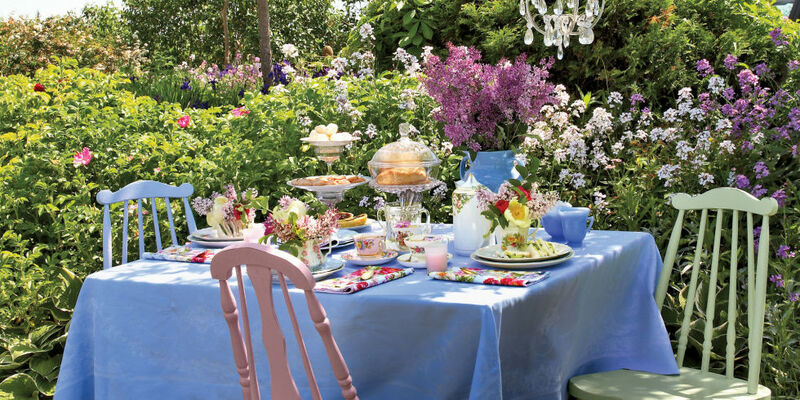 Tea time adds a unique twist to Mother’s Day and is an excellent opportunity to indulge in special pleasures–from the fancy tea cups and fine floral dishware to elegant sandwiches and decadent treats. China teacups are easily found at any thrift or vintage shoppe in an array of patterns and colours. Remember–they don’t have to match (and you may even come across a special keepsake that is a collector’s item of value–often makers leave stamps or marks on the bottom of each item). Don’t forget to make homemade traditional cucumber sandwiches–paper-thin slices of cucumber placed between two thin slices of crustless, lightly buttered white bread. Scones, jams, and an assortment of teas complete with honeys and a variety of sugars make for a delightful tea time. The icing on top of the cake will be the time spent with mom, reminiscing of old memories and making new ones! Celebrate your favourite woman (your mom!) by turning loving memories into a heartfelt Mother’s Day gift. Select a photo that you think would have special meaning to your mother. It could be from her days as a young woman, a joyful life event, or a more recent trip that you shared together. Old photos make for especially nice displays, as the black and white vintage appearance of old photographs always gives a certain elegance. To create a beautiful frame with a vintage feel, select a coloured frame to match the decor of your mom’s home. Glue a pretty white lace on the frame’s face and add buttons on the corners. Moms love nothing more than a handmade present, and this keepsake will hold special meaning. A wreath is a beautiful timely gift perfect to adorn mom’s door for the spring and summer season. Making a wreath is also an easy and creative project you’ll enjoy doing for mom. Browse through your local craft store for bunches of silk flowers to create your vision. Begin with a large grapevine wreath. Wrap the wreath with some festive vine beading. Make sure it matches your flowers! Choose one main colour, with two accents. Purples, yellows and pinks give that fresh spring look. Insert the flowers by weaving and bending the stems into the grapevine wreath and repeat until your wreath has the look you desire. Not only is this gift a stunning decor piece for mom’s home, but it is from the heart and she will be reminded of you every time she sees it. Hosting a wine tasting party in the comfort of your own home is a great way to do something fun, classy, and different for Mother’s Day. This tasting party will be an even bigger hit than a vintage Cabernet Sauvignon from Napa Valley. Sample different wines from one region, such as Napa Valley, Santa Barbara wine country, Willamette Valley, Rioja, New Zealand, the South of France, or an array of world-class Niagara wines for a Canadian theme. For a proper tasting, your wine glasses should have stems so the wine doesn’t warm with the hands, and the glasses should also be clear so the colour of the wine can be seen. If you do not have any stemmed wine glasses – this would be a perfect gift for Mom to go along with the DIY At Home Wine Tasting. 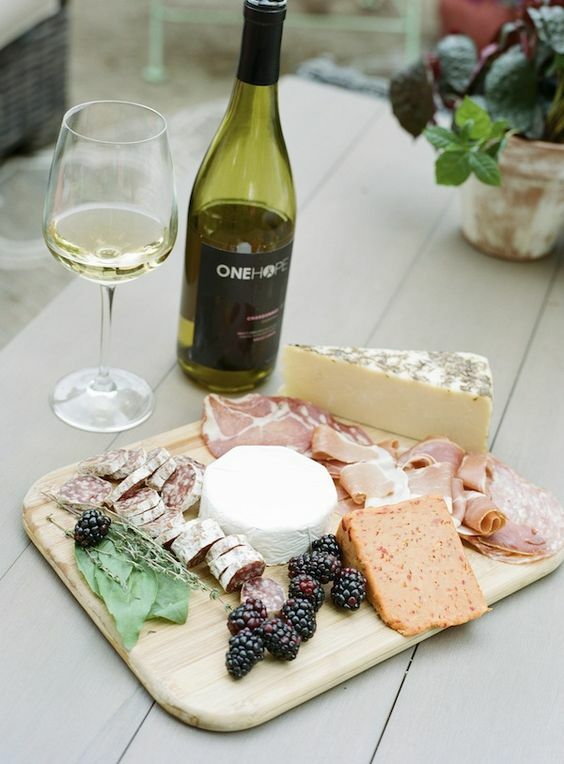 You shouldn’t be eating during the wine tasting, other than the bread or crackers needed to cleanse your palate. And while the typical protocol is to taste, not swallow the wines, we won’t tell! Following the tasting, serve up gourmet cheeses and fancy appetizers in mom’s favourite flavours–she will appreciate the thoughtfulness that goes into such an elegant and detailed gesture. Mother’s are so special in our lives, and they are typically the glue that holds the family together. Your mom will appreciate anything you give her, and these special gifts and gestures will make your homemade Mother’s Day extra memorable.